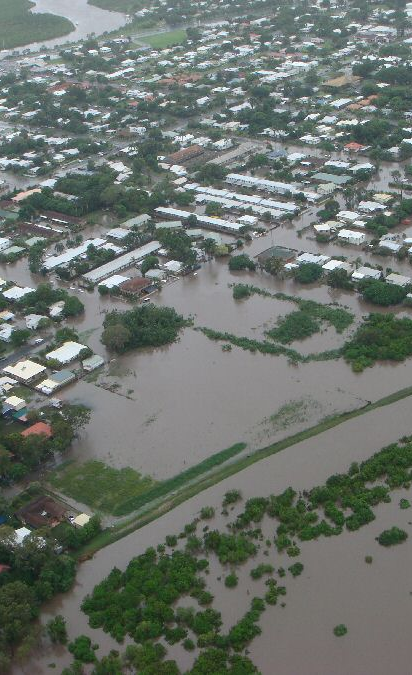 Both the natural and socioeconomic systems that we depend upon are resilient to extreme weather events, and their effects on water supply and flooding. 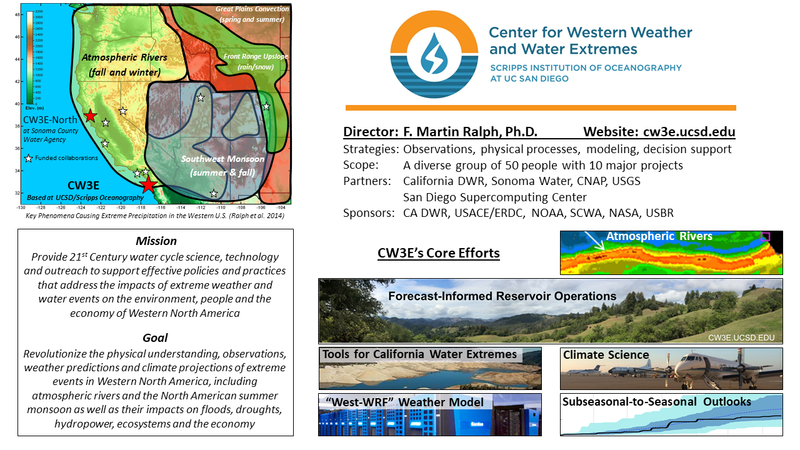 Provide 21st Century water cycle science, technology and outreach to support effective policies and practices that address the impacts of extreme weather and water events on the environment, people and the economy of Western North America. Revolutionize the physical understanding, observations, weather predictions, seasonal outlooks and climate projections of extreme events in Western North America, including atmospheric rivers, the North American summer monsoon and their impacts on floods, droughts, hydropower, ecosystems and the economy. Demonstrate the potential of breakthrough advances in atmospheric river and drought research to inform water management and flood control decisions to reduce flood damages and increase water-supply and hydropower availability and reliability. Develop and apply state-of-the-art science and technology to better understand, monitor and predict weather conditions that cause too little or too much precipitation in the Western U.S.
Reduce flood damages through better monitoring and prediction of even one strong atmospheric river event, as was demonstrated in Washington state when an aging dam was damaged by an AR. California alone has experienced on average $300 M/year of flood damages. Inform decisions on reservoir operations, emergency preparations, hydropower, through up-to-date knowledge, data and tools for detection and prediction of extreme weather conditions. Support long-term water-related infrastructure planning using climate projections that accurately represent atmospheric river conditions, other major storms and extreme events. Business and education opportunities through innovation in science, technology and applications.